Dental anxiety is a common condition that affects about 5% of the Australian population. It is one of the top reasons people miss dental appointments. Those who have dental anxiety would rather endure oral pain than face the dental chair, thus making dental problems worse. At Ria Family Dental, we help our patients with dental anxiety relax and even enjoy their dental visit through our sedation techniques. The process is failsafe and has helped many people. Experience a dental visit free from dental anxiety at Ria Family Dental! 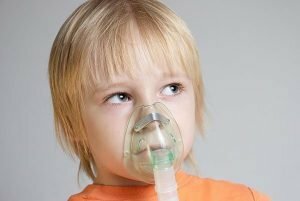 Nitrous oxide, more commonly known as happy gas or laughing gas, is the gas used in our sedation techniques. It helps patients relax by creating a lightheaded and happy feeling. The gas is inhaled through a mask or a rubber inhaler placed over the patient’s nose. The patient will initially breathe in oxygen then followed by a flow of the happy gas. The next 3 to 5 minutes will be your dentist asking you how you feel while the quantity of the gas slowly increases until it reaches the proper level. At Ria Family Dental, our sedation techniques allow patients to relax and at the same time be conscious during the procedure. Patients remain fully responsive and attentive of the dentist’s questions and instructions. Happy gas is highly recommended for patients who have mild to moderate dental anxiety or who are extreme gaggers. It is recommended for patients suffering from angina pectoris, high blood pressure, asthma, and epilepsy. Don’t let your dental fear prevent you from taking care of your teeth. With sedation dentistry at Ria Family Dental, you can have strong and healthy pearly whites plus a wonderful dental visit! We at Ria Family Dental aim to help our patients achieve the smile of their dreams and provide a wonderful dental experience everytime! Talk to your Ria Family Dental dentist today.